In a special board meeting held Friday, August 31, 2018, Salinas City Center Improvement Association (SCCIA) renewed its commitment to working toward homeless solutions in downtown Salinas. SCCIA—a community benefit district comprised of several hundred downtown property owners—will work with Mayor Gunter, the Salinas City Council, as well as homeless organizations to seek a permanent solution to homelessness for the City of Salinas. Due to the leadership shown by Mayor Gunter and his commitment to addressing critical issues affecting all citizens who live, work, and visit the City Center, the SCCIA board of directors rescinded a prior decision to initiate a lawsuit against the City of Salinas. 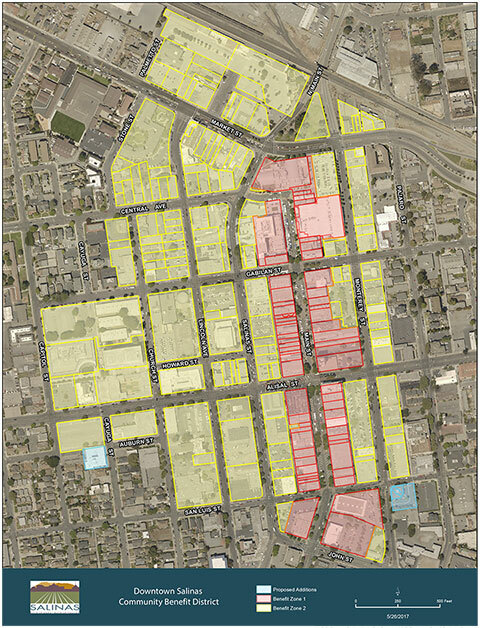 SCCIA had previously considered legal action against the City for failing to enforce zoning laws downtown and deterring the mission of its improvement district. “We have deepened our faith in Mayor Gunter’s leadership in working with the City Council and SCCIA in an honest and open way,” said board president Catherine Kobrinsky Evans. SCCIA projects include clean-up, landscaping, lighting and signage, assisting new developments such as CSUMB Salinas City Center, and promoting downtown Salinas. SCCIA’s expenditure on security and clean-up adds up to approximately 70% of its budget, the high costs mainly stemming from the increase of homelessness in downtown Salinas. The severe intensification of homelessness has caused spikes in drug use and paraphernalia, violence, environmental health threats, prostitution, and threats and hostility to merchants and customers in the City Center. SCCIA supports developing a permanent homeless shelter at 1220 Natividad Road, a Monterey County-owned campus capable of providing healthcare and other services. SCCIA also seeks greater support from City police on code enforcement, helping the City Center become safer for residents, merchants, downtown employees, and visitors.